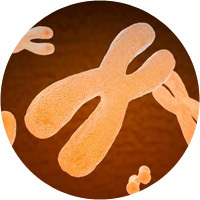 EpiGentek offers a wide variety of epigenetic services, from complete RNA methylation analysis to high quality sample preparation for next-generation sequencing. We also specialize in customizing our epigenetic research services and bioinformatics analysis to your specific research needs. Don’t see your desired epigenetic service or would like to design a custom research project? Contact us toll-free at 1-877-374-4368 or submit a services inquiry and get in touch with an expert who specializes in personalizing our epigenetic services to suit your specific research needs. Get started today and get your research published!